Space Available for Rent. To inquire, leave a detailed comment below. Include the proposed date(s) of your event and describe the types of space and services you need . One of our staff will contact you to discuss your event in detail. We can help you plan your special day. We can provide a full range of services for your wedding and reception, family or class reunion, birthday, or other special event. We also have large and small rooms which can be arranged for meetings, counseling groups or sessions, or one day office fronts. Our facilities include 2 church buildings available for event rentals, subject to compatibility with our ministry purpose. Building A is the original church building on the property (built in 1979) and is a complete church building inclusive of Sanctuary, Fellowship/Reception Hall, Small Meeting Rooms, Serving (only) Kitchen, and Restrooms (more details below). Building B is also a complete church building but it is available only by very special arrangement (weekends and evenings only) as it currently houses a full-time tenant and our church events and offices. Rates vary and can range from a small $30 fee for hourly meeting room rentals up to $4000 for a full day wedding or special event. The entire property is alcohol free, without exception. Smoking is prohibited inside all buildings (the facility use agreement provides detailed information about outdoor smoking area). Facilities are professionally cleaned prior to each event. experienced professional event manager to assist you with the other aspects of your event. Building A, a 10,000 square foot space zoned for ministry use, is available for regular/ongoing lease options. We are seeking to make the space available to multiple tenants with alternating hours (Example: one tenant has an 8am Sunday Morning services, and another tenant has 11:30am service or afternoons). Church planters: Why set up and tear down every week? 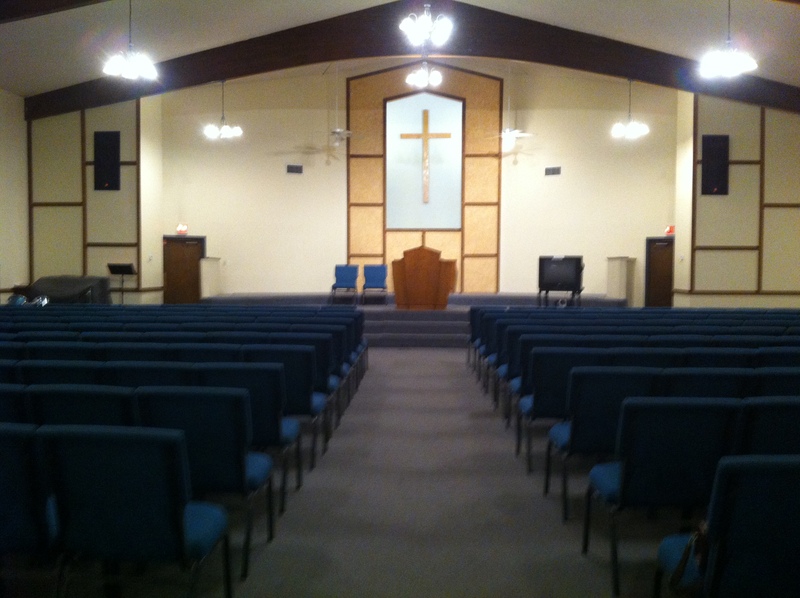 Share an existing church property – furnished and ready to use! Other options….ideal for a Monday – Friday charter school start-up, home school co-op, or recreational classes (such as self-defense, tumbling, music, drama). Building A is an older building which shows some dating, but it has recently been spruced up with fresh interior paint, new carpet, and we continue to make improvements as funds and volunteer labor allow. Please feel free to schedule a tour for more details.